There’s no denying Keith Urban’s immense talent, which was brightly showcased on his first three major label albums, particularly Golden Road and Be Here. The music sounded articulate and fresh while being extremely accessible. Urban’s last couple of albums, however, have been heavily influenced by electronic production where electric keyboards and drum machines largely filled the spaces instead of his prior muscular, yet more organic, production choices. Of course, this isn’t to say that there still weren’t some really good moments on both of those albums, as should only be expected by such a talented force, but they just seemed to lack the heart that was displayed on the previous two records. Keith Urban’s new single, “Put You in a Song”, is the lead single from his yet to be released album, Get Closer, and it seems that brighter sounds are here again. While it’s not exactly one of his strongest songs, it’s a big step back in the right direction. It’s clever, sprightly, and above all, devoid of any electronic instrumentation to muddy it up. It’s true that Urban has never really been known for being a traditionally oriented country artist, but he can be counted among the best of the pop country artists with some terrific pieces of pop country ear candy to show for it. Therefore, “Put You in a Song” is not anything more than a fun pop country ditty, but it is pop country done well. Best of all, “Put You in a Song” sounds more like it would fit on Be Here rather than Love, Pain and the Whole Crazy Thing or Defying Gravity, which is hopeful for the upcoming album that will be released on November 16. I like this song too. It may be ear candy, but it’s tasty ear candy! Interesting points about how Keith’s style has changed and developed over the years. I wasn’t big on all that electronic instrumentation either, and I do think this song is a step in the right direction. I like it, it’s a good song, but it doesn’t really go anywhere for me. But I will say I love the instrumentation in the song. I agree with your conclusion that “Put You In a Song” is pop country done well. The second time I listened to it I thought of “Days Go By” from “Be Here”. I also agree that “Golden Road” and “Be Here” are his best albums. I was so disappointed with “Love, Pain…” that I didn’t buy “Defying Gravity”. You know, the chorus does sound a little like “Days Go By”. Good catch. I’m warming up to this song, listen by listen. …guess another keith urban song that radio will keep playing almost non-stop, because it’s really a catchy little piece of music, and consequently making the listeners feel like just having had ten large “whopper meals”. I will not deny to anyone that I am am an avid Keith Urban fan. The man is just simply running over with God given true talent! To see him live is to have an experience you will not forget. I own every piece of music Keith Urban has ever put out starting with his first ever CD made in Australia. Every single CD is excellent music. Mr Urban has said that his music represents where he is in life and that is the place all music should come from. All our actions and thoughts are influenced by our lives and what is happening in them. I have loved every piece of music, listen to all of it, have my favorite songs, but don’t dislike anything he has ever done. The person who didn’t buy Defying Gravity missed a real treat. I love it!! This music will be what Keith Urban in his creatives Genuis has been inspired to bring us and I will be first in line to buy it and will be buying it until the next one comes out!! I realize a critic is almost never going to go for an A, but I would give this song and A+. It is exceptional!! I wasn’t sure about this song the first time I heard it. But, it is very catchy. It is the kind of song that stays inside your head – in a good way. I give it an A. As Alice stated above, I won’t deny that I am a huge Keith Urban fan as well, nor do I mind letting you know that my favorite album of his is “Golden Road”. I, too, have everything that he has released and am looking forward to the release of “Get Closer” in November. “Put You In A Song” is so catchy, that you really do want to turn it up loud and roll down all the windows! Since first hearing it last week, I even wake up some mornings with the melody in my head – and that’s NOT a bad thing! I do believe that Mr. Urban has another No. 1. “Ear Candy”? Bring it on! I totally agree with Nancy and Alice! Ladies, you couldn’t have said it any better!! Anxious for the new album. I too have all of Keith Urban’s albums. To the person who did not buy “Defying Gravity”, too bad; it is an awesome album. To see Keith Urban in concert is a true treat. The man is an awesome entertainer, and entertain he does. No one out there like him. I give this song an A+! I love it! Everyone must do yourself the pleasure of going Keith’s concerts. He is the best entertainer out there! I have all Keith’s albums, even the Ranch album that I truly love. There is just something about Keith’s voice that attracts me. My radio station played I’ll Fly Away by Keith the other day and it was the prettious version I’ve ever heard and the DJs agreed. PYIAS is not the best song Keith’s ever recorded, but it’s a great catchy song that you enjoy hearing over and over. You for sure can’t get it out of your head. I’m looking forward to another great album from Keith. One thing you know for sure, Keith is happy and loves his family. Something he has been searching for a long time. I have/like that In the Ranch album too. Not my favorite Keith song, but it’s a good lead single for a new album. It’ll work. It made a pretty immense debut on the charts (#29 on the Billboard Country Songs), so I’d guess that it will continue to build. OMG, total consensus? Am I on the right site? lol! If you want to be a rockstar, go sing rock songs, blare your guitars and bang on your drums all day (even if you don’t want to work). If you want to be a popstar, then add in some drum machines, a catchy beat and some ear-candy lyrics and call it a day. If you want to be a country star, then at least attempt to sound country. Add in a steel guitar, some fiddle, dobro and mandolin and make it country. This song is Keith trying to be two of the three things above, one of which is not the country star. Shania Twain did pop country the best. More reacent examples of doing it good though include Carrie Underwood and even The Band Perry. ^It was about time somebody broke the total consensus. I don’t go by total consensus! 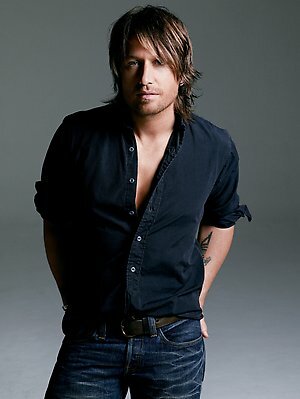 I just know what I like and I like Keith Urban music. I don’t care what label people insist on putting on his music, I just love listening to it! I am a Rock and Roller from way back and only started listening to Country because of Keith. There is bad music in every genre. Put labels on if you want, but great music is great music and Keith Urban is a wonderfully talented musician, vocalist and artist! I love this new song! Great music IS great music, that is true. However, don’t tell me I’m listening to a country song when I am not. I have about 6 or 7 options here in Detroit to here modern pop or pop-rock music, and one outlet in 99.5-FM that plays (supposedly) country and when i turn it on I’d at least like to hear something that sounds country. Country, if it is going to be called that by an artist, label, producer, promoter, whoever, should have a certain sound to it. I am a younggin and saying this too, not somebody who knew country back in its “hayday”. Maybe I need to go back to 1982 to find out get my fix of real country. Maybe then I can find out why he Stopped Loving Her Today and no longer cared for her with a Slow Hand. …careful mike, 1982 isn’t exactly the year to look for “real country”. in that decade 1986 might be a little more rewarding, when taking a closer look at things. I also think that “Put You In a Song” can be considered pop-country. “I’m In,” on the other hand, is just not country in any way, shape, or form, in my opinion. I think “Where the Blacktop Ends” and “But for the Grace of God” were about as country as I’ve ever heard Keith get. But even though I usually prefer artists who are more country than Keith is, I do think Keith is a talented vocalist and a great performer, and he has made a lot of good country/rock/whatever-you-choose-to-call-it music. I might as well give a shout-out to 99.5 in Detroit since Mike brought it up. That was the first country station that I discovered, and I used to listen to it quite a bit when I lived in Michigan. Granted, they play about as much crap nowadays as the other stations do, but it does still hold a bit of sentimental valdue for me! Keith has said a number of times that he has influences from all over the music industry. I listen to all kinds of music and I would venture to say that most people don’t listen to one kind of music all the time. If we want music to evolve and not get stale we need new influences. Is Keith Urban George Strait? No, but George Strait is no Keith Urban either! They both have strengths within the genre and it is richer because they are BOTH there. Having said that I like the new KU single and can’t wait for the new album. Oh and like others have said….Golden Road is my favorite as well….so far! I generally agree with this review. This sounds like a more high-octane “Kiss a Girl” to my ears. Something about the guitar and bouzouki effects/distortion works in keeping this from sounding too Hot AC-centric. It’s almost as though both instruments cross-bred with steel guitar leanings, at least to my ears, to give this a distinctive twangy streamlined rocker sound……which is certainly welcomed in that the track otherwise lacks traditional country instruments, at least to what my ears could pick up on. Urban also hits it out of the ball park once again as far as performance is concerned. As atrociously lame as many of the lyrics are, Urban, much as he did with “Everybody”, pulls it off again in lifting such mediocre material to emotionally-engaging effect………only this time in an up-tempo setting. Really, the only thing I clearly don’t like about this track is the closing 80’s metal-esque guitar screams, which unnecessarily push it too far to rocking out just for the sake of rocking out. They are a distraction to me. One thing I’ll add is that, if this track is any indication, this will definitely be a continuation of the “Defying Gravity” era soundscape, and I actually hope that doesn’t end up being the case. At least I hope we get some more textured tracks on “Get Closer”, as well as ambient tracks like what “Til Summer Comes Around” accomplished well. I also hope Urban doesn’t push that cute boyish, hopelessly-in-love button throughout the breadth of tracks on “Get Closer” either, as I admit it’s starting to tire me out. I’m hoping he will handle more mature material and themes to counterbalance the more fun, loose cuts. I like it; it’s certainly more distinctive than “Sweet Thing” and “Kiss a Girl” were. The only part that feels especially weak to me is where the chorus awkwardly repeats itself melodically after the “I love this girl!”. Urban’s choruses usually repeat melodic lines, but it sounds a little less tight here for whatever reason – kind of forced and bloated. I think Keith is an excellent performer and vocalist, but so much of his material lacks the spark, personality, and geniune passion he shows for music in his live performances. This has always been the issue that keeps me from fully embracing him as an artist. He has incredible talent, but the way he choses to showcase it through his records, producers, and song choices is discouraging. I really like this single, and I think it showcases personality and enjoyment that seems to get lost in dull production and vocals in a lot of his records. On another note, I’m surprised his new album is coming out in November, considering the fact that most people had no idea he was even in the recording studio at all. No K….you’re wrong. His fans and fanclub knew that he has been in the studio for many months now. Every time he has been interviewed in the last 6 months or so, he’s mentioned that he was in the studio and working on a new album. You not being that big of a fan of his probably would not know this or been interested. Even Nicole mentioned it several times in some of her interviews. There was an interview recently where he said his little girl came to the studio when he was working and he put some little earphones on her and she went to the mic and sang 2 songs….ABCs and Twinkle, Twinkle. So he has a professional recording of her singing. Thought this was so cute and sweet! Just when I thought it was impossible for Keith Urban to get any better, boy he proves me wrong!It’s so upbeat and catchy. I love songs like this that have such a great postive energy. Makes just want to dance all your blues away!! I just found out that Keith Urban and Guitar Center are having a really cool contest on OurStage.com…you can win an AMAZING prize, including featuring Keith on your album, getting to open for him and $20,000 in new gear!